COMFORT AIR offers a kneeling feature with minimal forward roll while maintaining stability and driver handling. 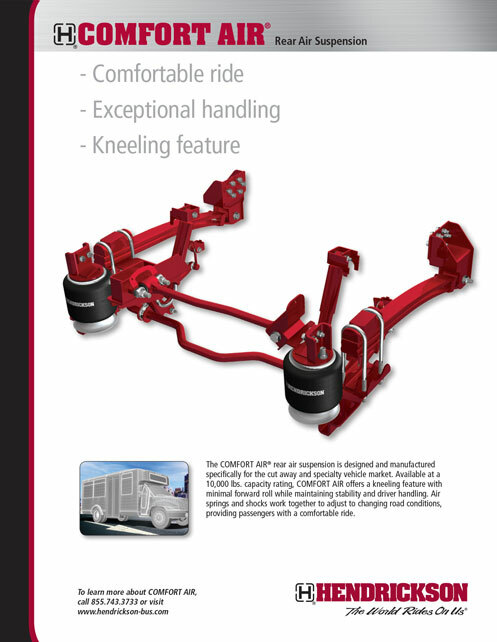 The COMFORT AIR® rear air suspension is designed and manufactured specifically for the cut away and specialty vehicle market. Available at a 10,000 lbs. capacity rating, COMFORT AIR offers a kneeling feature with minimal forward roll while maintaining stability and driver handling. 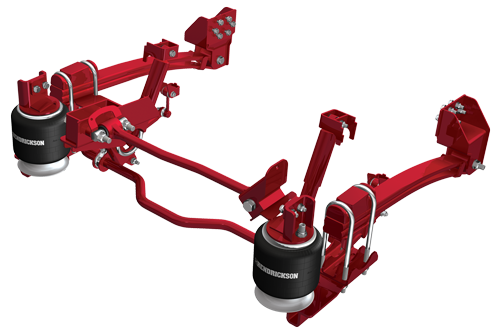 Air springs and shocks work together to adjust to changing road conditions, providing passengers with a comfortable ride. Optimized configuration provides improved driver feel for increased handling and confidence when performing maneuvers. Designed to reduce roll forward during kneeling operation <1.5"in. Ride Height (With Straight Frame): 6.5 - 8.2"in.